It is difficult to imagine a more under-appreciated pitcher than Boston right-hander John Lackey, who returned from Tommy John surgery in 2013 with a renewed focus on his career. In fact, since taking the mound for the first time at the outset of the 2013 campaign, Lackey has posted an impressive 7.8 K/9 rate. Following a solid postseason wherein he garnered a 2.77 ERA in 26 innings pitched, Lackey has continued that success in 2014. Specifically, Lackey is 5-3 with a 3.58 ERA and 1.24 WHIP, including going 3-2 with a 3.63 ERA and 1.36 WHIP at home, 4-2 with a 3.09 ERA and 1.20 WHIP at night and 1-1 with a 3.26 ERA and 1.24 WHIP over his last three starts. Lackey is also supported by a very good Boston bullpen that owns a 2.89 ERA and 1.25 WHIP this season, including a 2.10 ERA and 1.10 WHIP in interleague play, a 2.63 ERA and 1.18 WHIP at night and a 2.22 ERA and 1.23 WHIP over the last seven games. Meanwhile, Atlanta starter Gavin Floyd has returned with a vengeance following Tommy John surgery last May as evidenced by his 2.49 ERA and 1.26 WHIP this season. However, the small sample size – 25.1 innings pithed – is not enough to reach conclusions about the veteran who is 70-71 with a 4.44 ERA and 1.34 WHIP in his Major League career. When healthy, Floyd is capable of posting an ERA in the low-fours with acceptable strikeout and walk numbers, but he remains average at best. Finally, the Red Sox are cognizant of the fact that their last homestand was one of the worst in team history as Boston went 0-6 for the first time since 1994. And, after snapping a ten-game losing skid wherein they were outscored 52-26, the Red Sox ended the streak with back-to-back wins at Turner Field. “To come here … with that streak and end up getting two (wins) here is really big,” Tuesday’s winning pitcher Jon Lester said. 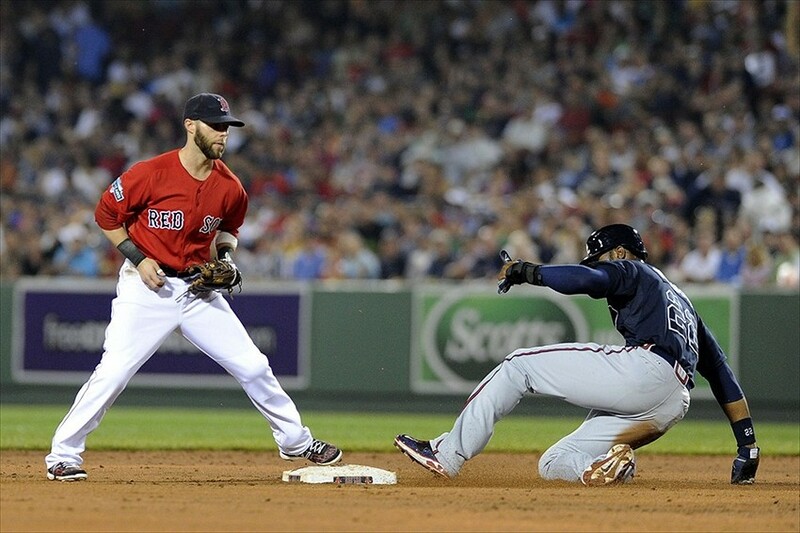 “More than anything, our guys are having fun playing the game,” manager John Farrell said. “It was a tough 10-game stretch we came through but there’s been plenty of energy kind of injected back in the dugout.” Take Boston and invest with confidence.